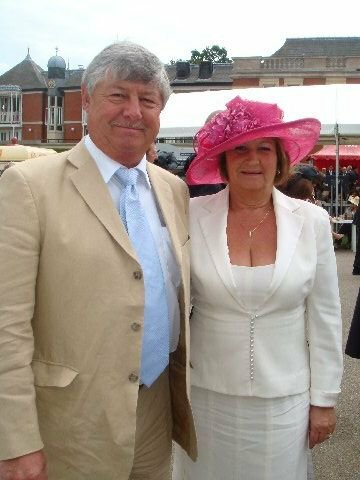 Michael Colin McGeough (No.28 in the list of male British team members) was born in Friern Barnet, London on 30th March 1946. In his early teens he frequented the Alexandra Palace rink where many of the top speed skaters of that time could be seen, either training or racing in national championships. Mick started to go along to the training sessions and under the watchful eye of former British Champion, Charlie Applebee, joined the Alexandra Palace club. Very soon it became quite clear that the youngster was going to be a talent to be reckoned with. Aged just 17 he finished 3rd in the 1963 Southern Counties Championship. In 1966 McGeough well and truly came of age. On 12th February that year he won the Five Mile British Championship on his home track - the Palace. By 1968 Mick had secured himself a place on the British team for the forthcoming World Championships in Montecchio (Vicenza). Aged just 22 he was the youngest of a well experienced national team. 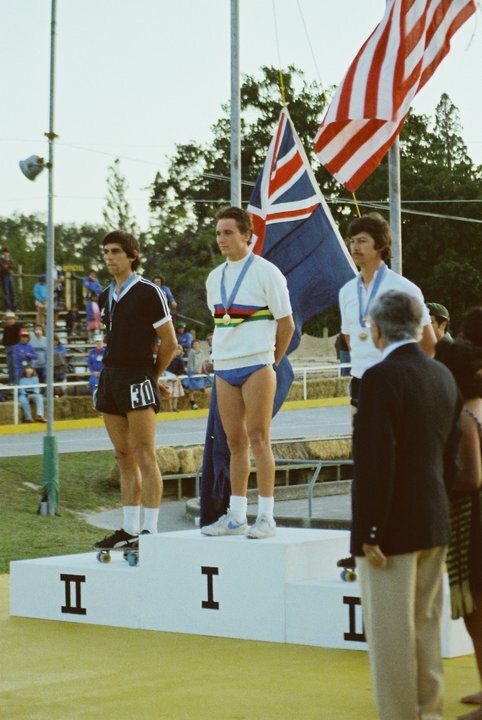 Included in the team that year was also former World Champion Leo Eason as well as world medallist Bill Sharman and European medallist John Folley. Despite this it was McGeough who would come away with the best placing of the team with 5th in the 500 metres time trial. He again won the Five Mile in 1969 and in 1973 emulated the achievement of Alf Martin and John Folley by winning all three national titles in a single season. Between 1973 and 1983 McGeough would amass a further 15 British titles, taking him to 17 in total. Nine of these were for the English Sports Cup - the trophy awarded initially for the Five Mile Championship before it became the 8000 metres and eventually the 10000 metres. This in itself was (and still is) a record. McGeough was also one quarter of the Alexandra Palace team that won the British Relay Championship in 1967, 70 and 71. Internationally McGeough was also making his mark. The World and European Championships were held sporadically for a decade between 1968 and 1978 and like so many top skaters of that time, he suffered as a result from the ad hoc nature in which these major events were organised. Despite this he became European Champion at 10000 metres in La Roche-Sur-Yon, France in 1978 and repeated this feat to retain his title a year later in Ostende, Belgium. This made him (and still does) the only British skater to retain his title in a major international competition. In 1980 McGeough won his first world medal - bronze in the 20000 metres on the track in Masterton, New Zealand. A year later, on the road, he would gain another two medals - silver in the 500 metres knockout and bronze in the 5000 metres in Leuven, Belgium. However, just a year later and McGeough would step onto an international track for the last time.when he competed in the World Road Championships in Finale Emilia, Italy. For a brief period afterwards he became National Team Manager taking the British team away to the World Championships in Adelaide, Australia in 1986. He also became Chairman of the British Federation of Roller Skating for a short spell before finally deciding to call it a day. In the late '80's he was often seen supporting his two sons, Sean and Neil, who were both international skaters and national champions in their own right. But these days Mick can more often than not be seen on a golf course swinging a club rather than on a track swinging his arms.